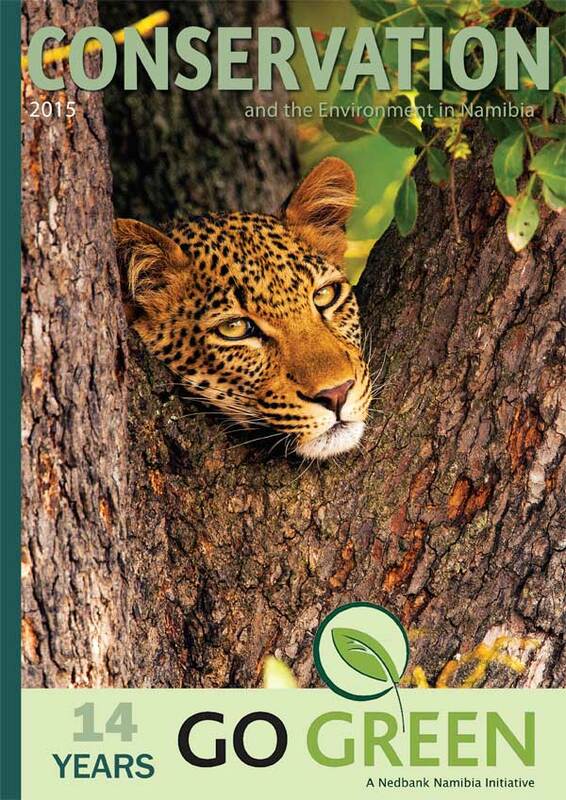 A leopard peers through the branches of a tree, its green eyes penetrating, its expression curious. This is a travellers’ dream, even if it is found on the cover of a magazine. Since its inception in 2001, Conservation and the Environment in Namibia, a Travel News Namibia initiative, has provided much needed exposure to the threats facing our natural world and the efforts being made to protect Namibia’s fragile, fascinating biodiversity. An evolution in the approach to conservation in Namibia is evident in projects covered in the magazine. From pure research to environmental education and involving communities in the sustainable utilization of our natural resources: all of them are part of Namibia’s globally acknowledged conservation efforts. 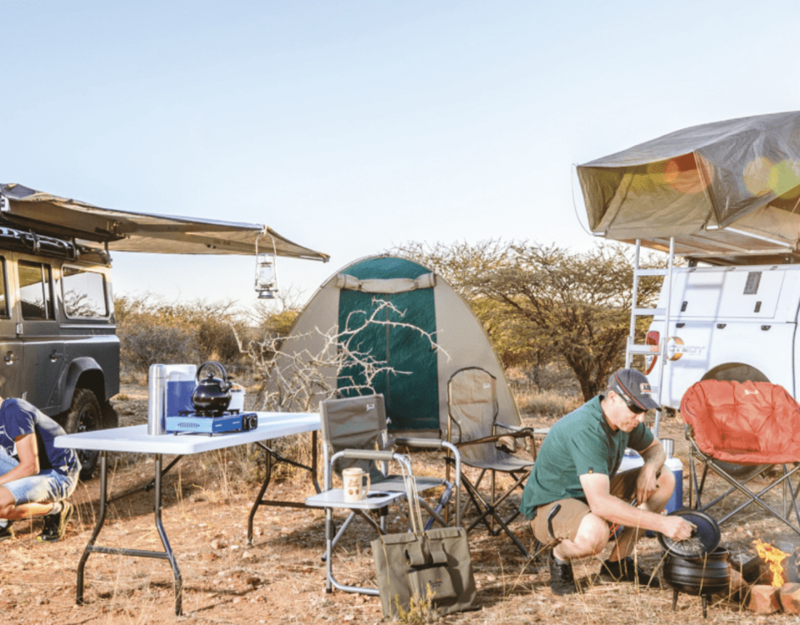 This evolution of approach and coverage is mirrored in the funding that Nedbank Namibia’s Go Green Fund has provided to conservation efforts over the past 14 years. The latest issue of Conservation and the Environment in Namibia, a Go Green Fund Special Edition, brings the two corporate initiatives together in beautiful, informative symmetry. The magazine showcases some of the projects that have been supported by the Go Green Fund over the past 14 years. These projects – and articles covered by the magazine – include research on giraffes, brown and spotted hyenas and the return of the oxpecker, along with features on environmental education in the desert and students’ involvement in research projects. As Conservation and the Environment in Namibia reveals, our conservation efforts are as diverse, beautiful and inspiring as our country. Visitors to Namibia’s Etosha National Park will heartily agree with this sentiment. When O’Connell follows this by adding that she spent her “thirtieth birthday here, and then my fortieth, and next year, my fiftieth,” this is where visitors will shake their heads in wonder and appreciation, and this too is what draws the reader into this special book. 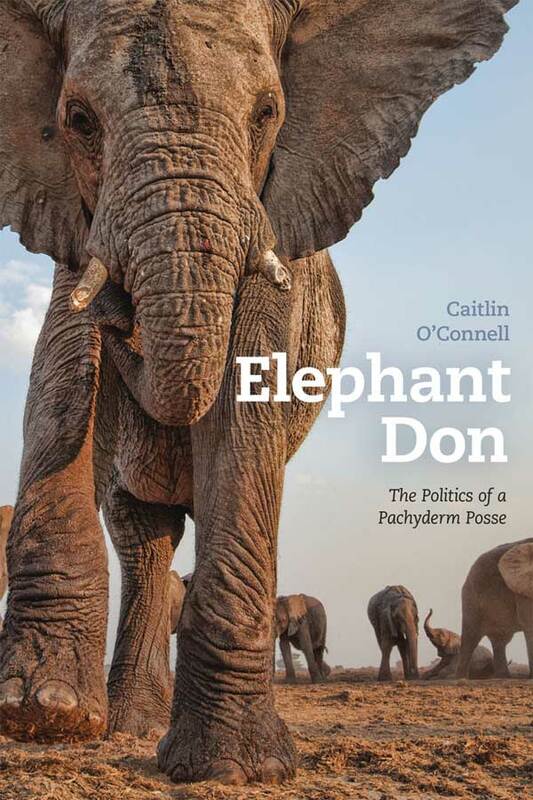 O’Connell’s decades of dedicated research and her insight, gained through patient observation and keen questioning, into the lives of Etosha’s elephants is detailed with a scientific eye and a writer’s compassion in this book. Each year, for nearly 30 years, O’Connell has left a comfortable life in the US for the dusty, dramatic surroundings of eastern Etosha. Each year, she’s been reacquainted with the elephants she’s come to know, name and understand, and each year, with fresh insight, new questions arise. As O’Connell contemplates the behaviour of Etosha’s elephants, specifically that of the adult males, she takes the reader on a vicarious tour of various fields of scientific study and how these relate to other species before returning to how this information can help her – and us – better understand the complexities of life for Etosha’s elephants. Intelligent and insightful, Elephant Don is a true reflection of the animals that are at the very heart of this lovingly crafted book. Grasses & Grazers of Botswana and the surrounding savanna by Veronica Roodt is a richly illustrated and fascinating book on grasses and herbivores and their interrelation. Each of the approximately 100 grass species is beautifully and very clearly illustrated by photographs and drawings, with concise and highly informative details on the facing page. In addition to the scientific name of the grasses the English and Afrikaans names and in many cases even the German names are provided. Matters such as successional and ecological status, leaf yield, palatability, nutritional value and soil type are addressed while veld management, common insects and birds as well as the grass’s medical and ornamental value are also discussed. The identification of grasses in this region has never been easier. More than two thirds of the book’s 304 pages are devoted to the various grasses. The grazers are equally well illustrated and documented on 51 pages. Details are provided on food preferences, digestion, droppings and water requirements. The interaction between domestic grazers and wild animals is also discussed. Pages 278 – 294 deal with pasture management, soil erosion and methods to counteract it, sowing grass, establishing seed reserve camps, bush encroachment, burning and related matters. The role of various animals such as harvester termites, locusts, quelea finches and different mice species is addressed as well. There are separate indexes for grasses, grazers and general matters plus a glossary and a list for further reading. This wonderful book is not only about Botswana – it also includes the entire north-eastern region of Namibia right up to the Namib Desert. The map on the cover and on page 4 shows the extent of the ‘surrounding savannah’. 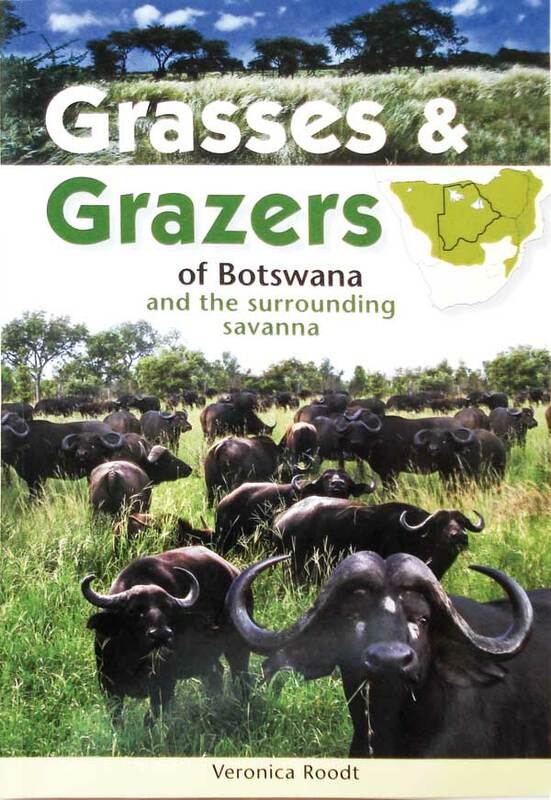 At least two thirds of the grasses and 20 of the 22 grazer species mentioned in the book also occur in Namibia. The author, Veronica Roodt, holds a B.Sc. in botany and zoology and a B.Sc. (Hons.) in animal physiology. She spent many years in her bush camp in the Okavango Delta working with the local tribes on the medicinal and food uses of plants and conducting research on wildlife, plants and their uses in general. She is well known as a highly knowledgeable as well as entertaining writer from her earlier books Trees of the Okavango Delta and Common Wild Flowers of the Okavango Delta. Her latest book is now available in all bookshops at N$ 290.